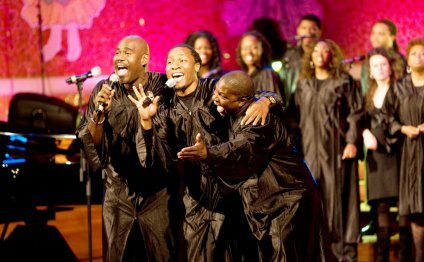 STARKVILLE, Miss.—Mississippi State’s Black Voices Gospel Choir will present a Saturday [Nov. 21] concert at Colvard Student Union’s Bill R. Foster Ballroom. Free to all, the 5 p.m. program will feature songs including “Greatness” by Darrel Pettis, “At All Times” by Andrew Knox and New Change, and “Blessed Assurance” by Sean Tillery and Changed. The Black Voices dance ministry will accompany the choir on “Great is the Day” by Kevin Terry and Predestined. Emcees for the evening program are Pastors Dedrick and Deona Benson of University of Life Ministry in Oxford. Gospel Billboard chart-topping recording artist Vincent Tharpe and Kenosis from Memphis, Tennessee, also will perform during the concert. Donations will be accepted, with 10 percent of proceeds benefitting the MSU student relief fund. In addition to receiving third-place and crowd favorite honors at the 2015 National College Choir Explosion in Louisville, Kentucky, the MSU group brought home $6, 000 in cash prizes. How to make a Choir robes?